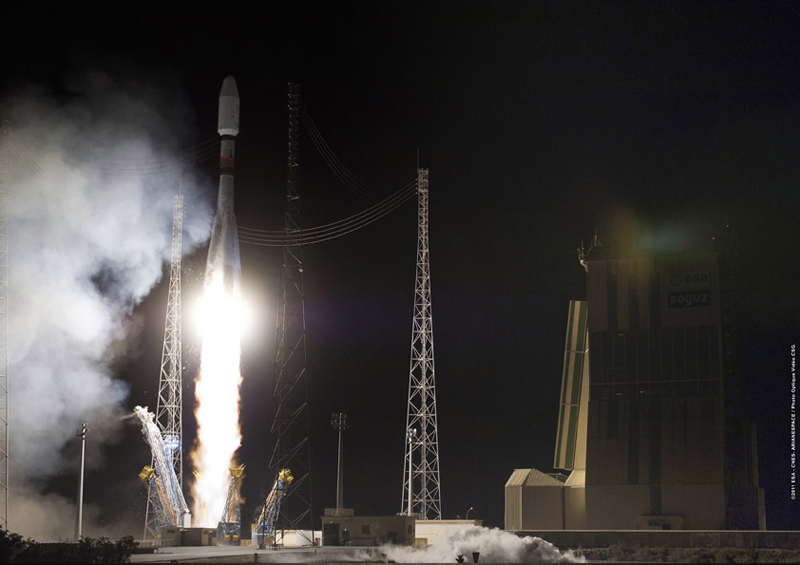 The Soyuz launcher lifts off from the Guiana Space Centre, Saturday 17 December at 0:03 UTC. Credits: ESA/CNES/Arianespace/Optique vidéo du CSG. The Soyuz launcher roared skyward from the Guiana Space Centre as scheduled today Saturday 17 December at 0:03 UTC (03:03 CET). The final Fregat stage took the Pléiades satellite to an altitude of around 694 km, 55 minutes after launch. The 4 ELISA small satellites were released at around 700 km, 59 minutes after lift-off, followed by one last in-orbit manoeuvre after which the SSOT satellite separated from the Fregat stage, 3 hrs. 26 min. after lift-off at an altitude of some 610 km. The Pléiades and ELISA control centres at CNES in Toulouse then switched on the satellites and checked that they are operating smoothly. Pléiades is scheduled to supply new-generation high-resolution Earth imagery for civil and military users. The 4 small satellites for the ELISA military programme are designed to develop future missions that will track ground radars from space. SSOT is a Chilean military reconnaissance satellite. 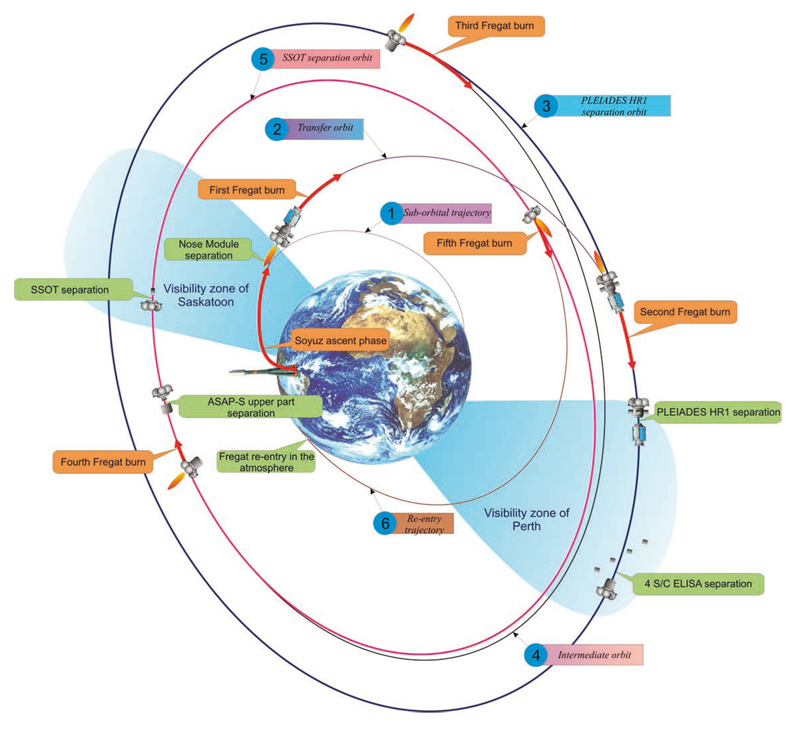 Flight sequence of the Soyuz launcher from the Guiana Space Centre to orbit the Pléiades, ELISA and SSOT satellites. Credits: Arianespace.